NOTE: There are NO courses currently scheduled. These courses are NOT basic introductory courses and should be considered only by those who are currently treating orofacial pain and joint dysfunction. 2. Begin planning which involves venue, materials, etc. Dr. Glassman will do all he can to keep the cost of the course reasonable. Fees would be dependent on the venue costs and the numbers attending. 2. Diagnosis including history taking. In the past, our two day injection course has been held in Costa Rica and in Allentown, and the fee for the specialized course was over four thousand dollars in each case. Excellent planning by several of those that took our last course helped us control costs to less than half of that total! Our last course in Temecula, California was hosted by Dr. Robert Cadalso. We had eight attending. It was a three day course that not only included injection therapy but also splint therapy, occlusion, and parafunctional control appliances. The course was a total review of what has been referred to as “The Allentown Model.” This model is based on comprehensive histories with emphasis on diagnostically driven therapy recognizing the importance of ligament insertion injuries as well as the role of injection therapy and parafunctional control in trigeminally mediated disorders. Yes, this is a VERY important course for those who are ready to incorporate ganglion injections and ligament insertion injections into their therapy. Contact Dr. Glassman to let him know of your interest. To allow you to begin therapy immediately upon their return from the course, attendees are given start-up kits, as well as product lists with contacts for their purchases. Note: This group is truly limited in terms of attendance to a maximum of 16, depending in part on the venue. NOTE: This course is now given per request. Please contact Dr. Glassman DIRECTLY at DrBGlass@gmail.com to express interest. FINALLY — the course that many have heard about but have not been able to experience is being offered in Allentown For a number of years, until logistics made it impossible to continue in our chosen facility there, this course was given in Costa Rica. Since then, many dentists who recognize the tremendous advantage of mastering ligament insertion injections, ganglion injections, and trigger point injections in the treatment of pain have been asking that this course be offered again. Note: This group is limited to ten dentists! The model taught in the Level 1 and 2 courses emphasizes both peripheral and central injuries. Peripheral injuries can lead to both peripheral and central sensitization, a major player in non site specific chronic pain conditions. 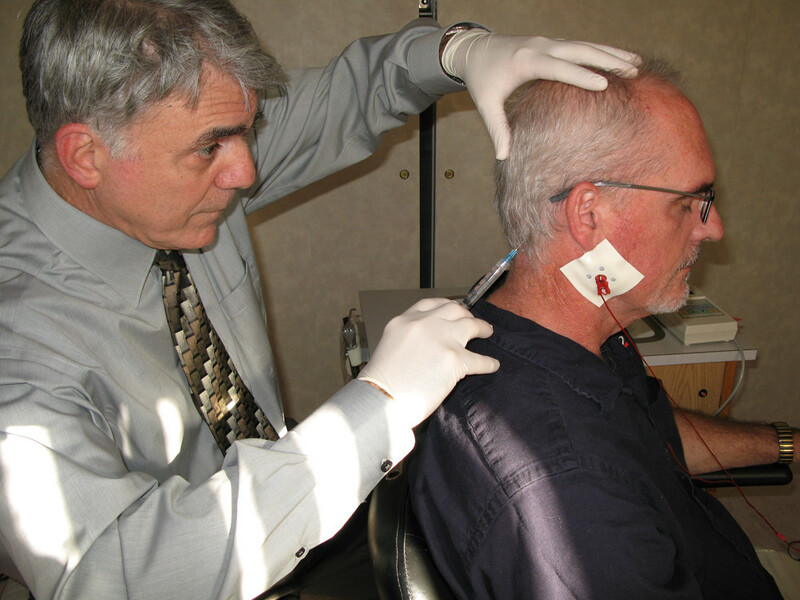 Injections to reduce local injury, as well as reduce afferent nociceptive signaling, can be very effective in treating both acute and chronic pain. Dr. Glassman’s work has been instrumental in making ligament insertion and ganglion injection in the treatment of chronic orofacial pain and headache more well accepted internationally. 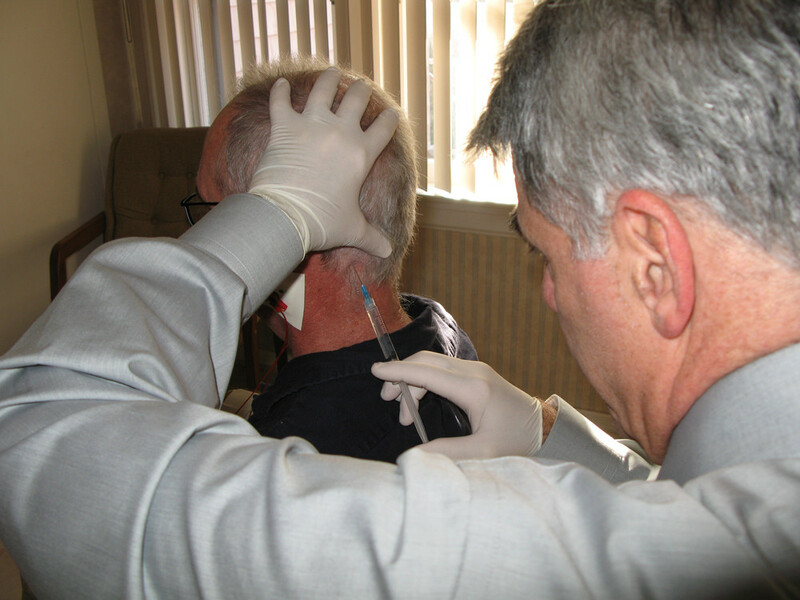 The sphenopalatine injection technique, long taught in this course as crucial to the treatment of orofacial pain and headache, is only now receiving extensive attention in the literature. The ligament insertion injections, now recognized in the lit, are described exactly as they have been taught for years. Add a valuable tool to your armamentarium, a tool that will help you resolve much of the orofacial pain with which your patients present. Unlike other injection courses, the emphasis will NOT be on trigger point injections. 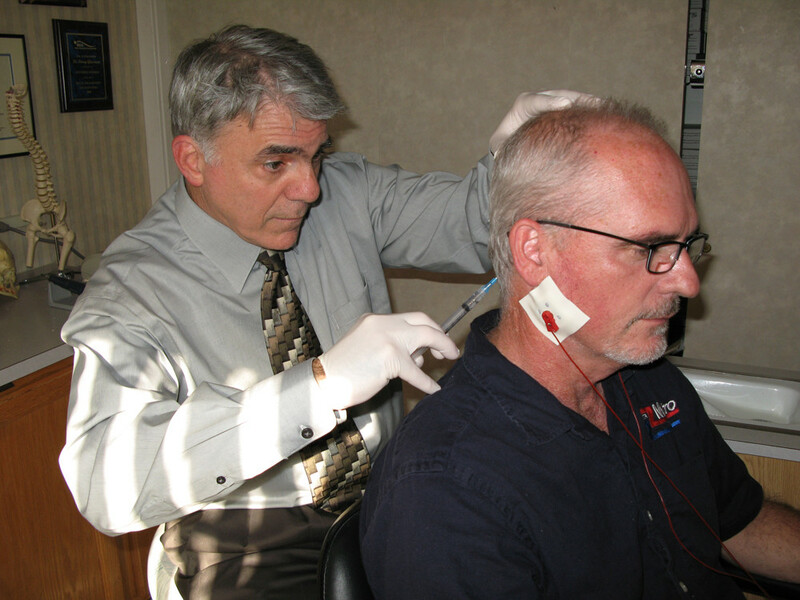 Sure, we teach trigger point injections and review the trigger point referral patterns as taught by Travell. And we will teach the use of non-injection therapy for trigger point therapy as well. But the real emphasis is on ligament insertion and ganglion injections. The enthesis is the weak point of the musculoskeltal system, and resolving these injuries and breaking the cycle of pain in these patients is key to resolving chronic orofacial pain patterns. These injections can be given nearly painlessly and are extremely effective in treating cervicogenic headaches, migraine headaches, referred otalgia, and many orofacial pain syndromes. MOST INJECTION COURSES EMPHASIZE TRIGGER POINT INJECTIONS; ENTHESIS INJECTIONS ARE MORE EFFECTIVE. Although trigger point injections are indeed taught, we have learned that ligament insertion injections in the stylomandibular ligament, the temporal tendon, and the insertions at the infranucal and supranuchal lines are more critical and more effective in terms of predictable symptomatic improvements. LEARN THE BLUME INJECTION and its key role in headache therapy. In a recent study here at the Lehigh Valley Hospital Headache Center, the SPENOPALTINE INJECTION has been demonstrated to be extremely effective in migraine and chronic daily headache management. It can also play a major role in the treatment of atypical trigeminal neuralgia. The course is a Friday/Saturday course. On Friday we will review the injection concepts, pharmacology, and anatomy. Case presentations will be reviewed as the diagnosis, and indications for each injection will be discussed separately. Videos of each injection will aid in visualization. Saturday (or the second day) is the hands-on portion. The mechanics of preparing syringes will be reviewed in detail. Each injection will be demonstrated followed by hands-on injection therapy with your partner. You will leave with experience and be prepared to begin incorporating injection therapy immediately. Learn the role of the sphenopalatine, otic, and submandibular ganglions in chronic orofacial pain patterns and autonomic dysautonomia. Understand the various medicaments used in injection therapy including Marcaine, Ropivacaine, Lidocaine, Prolotherapy, and the use of steroids. To allow you to begin therapy immediately upon your return from the course, attendees are given start-up kits, as well as product lists with contacts for their purchases.